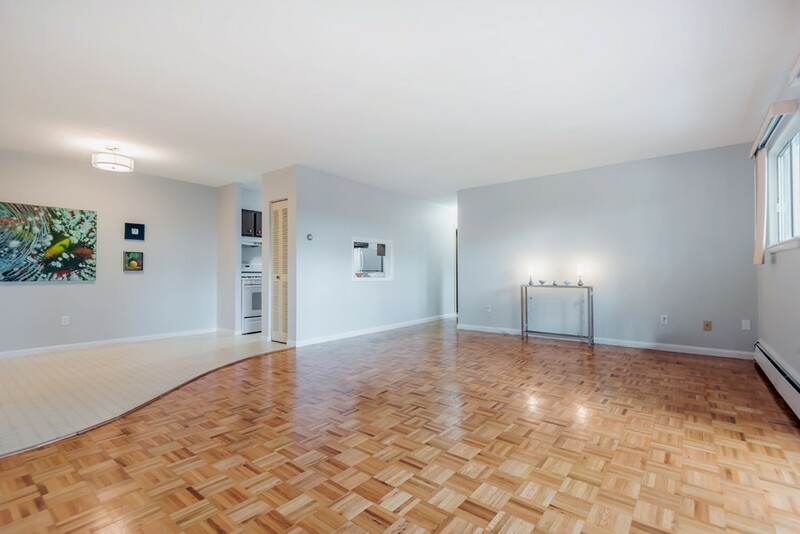 Freshly Painted LIGHT AND BRIGHT Unit within Desirable Andover Condominiums Complex. Why rent when you can BUY at THIS price?! Open concept living room/dining room lead to deck, perfect for enjoying morning coffee in the autumn and barbecues next Spring. NEWLY REFINISHED FLOORS. Two generous sized bedrooms with ample closet space, and nicely appointed full bath. Condo Fee includes almost everything including hot water and heat! Have someone else take care of the lawn and shovel the snow- the condo fee includes all of it! Close to Everything- including brand new YMCA next door, shops and restaurants a few steps away, and even TRAIN TO BOSTON! So close to commuter routes. Live a life of convenience, you deserve it!